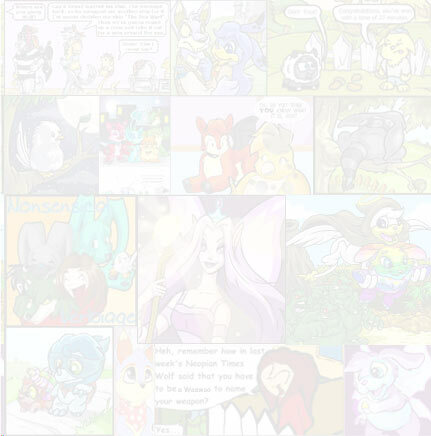 The Neopian Times Week 139 > Articles > I'm Moving to Neopia! I went shopping this morning – I bought some magical rocks for five thousand a piece, some stamps for three thousand a piece, a meal for eleven thousand, and I bought a week’s worth of groceries for just under seventy. I also went to the bank, where I collected my 10% interest, bringing me to a balance of 1,070,199. In the virtual world of Neopia, your pets can talk and tell you what they want. They’ll play games with you, and if you give them a plastic butter knife, they’ll fearlessly charge at a rival more then ten times their strength – not to say they’ll win or anything, but at least they’re loyal. If you don’t feed them for a week, when you finally do they’ll tell you what a great owner you are and how much they love you. In Neopia, a seven year old can run a small business, and profit from it – but in real life, most thirty and forty year olds couldn’t effectively run one. In Neopia, I live comfortably with over a million Neopoints to my name – in real life, I hardly have twenty dollars. So, I’m moving. To Neopia! 1) Instant teleportation! No longer will one have to worry about finding a ride to a friend’s house, or subway fees, or missing the bus to school. Just think about the place you want to go, locate it on your map, and you’re there! It’s free, and you can travel the entire UNIVERSE this way! 2) You can make your living playing games! No, I don’t mean as a professional baseball or basketball player either. In Neopia, you get paid to play games! Most of them are pretty fun too…what OTHER world is going to pay you 800 dollars to smack a stuffed animal around with a stick?! 3) Companionship! In Neopia, conformity is not an issue - if you’re struggling to fit in, MAKE some friends…no, literally! Create a Grarrl and see how many people throw things at you THEN! Create an Ixi and see how many people flock to your side to pet it! If they don’t like your clothes…create a Draik, at 600,000, the price of your clothes will hardly matter anymore! 4) “Money doesn’t grow on trees” - Remember that cliché phrase your parents used when you wanted something as a child? Well, in Neopia, money DOES grow on trees! Go to the Marketplace, make a left at the Rainbow Pool, go past the Bookshop and go north until you see it – the giant tree with a smile on his face and Neopoints falling from his branches! Beware though – you’ll need to be quick, the crowd surrounding the money tree rivals that at a Sticks and Stones concert. 5) Independence! In Neopia, everyone is his or her own ruling force – no parents, or governors, or Presidents to tell you what to do. If you want to eat ice cream for breakfast – go right ahead! Wanna live in a space station? No one's stopping you! Gamble when you’re only twelve? No one cares! Don’t worry though – people who make Neopia unpleasant for others are simply exiled – no trials, no questions asked! 6) Immortality! You can hike to the top of the highest, coldest mountain and still have enough energy to ice skate. You can venture in a serpent’s cave and steal his treasure, or try to wake a giant beast that has a toenail the size of your arm. Eat a rotten omelette, poisonous jelly or that mushroom you found under your steps and the worst you can get is the Neopox (think chicken pox here). If you don’t eat for three months, no big deal! As you can imagine, the entire universe of Neopia has only one hospital. 7) Most of your favorite foods and activities are also in Neopia! Do you love pizza? There are over 150 different varieties! Puzzles? There are tons to solve! What about whacking people over the head with a mallet? It’ll get you arrested on Earth… but in Neopia, you get PAID to do it! 9) If all else fails in Neopia, there is still hope! If you run out of money, your pets are starving, and for some reason you can’t score more then two in any game, there are still the faeries. 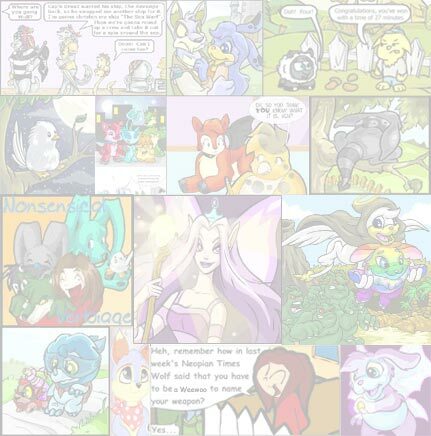 Unlike this boring place called Earth, Neopia has lots of magical creatures waiting to help you – namely, the Faeries. The Tooth Faerie will pay you for a lost tooth even if you haven’t lost one! The Negg Faerie will drop magical neggs (like eggs, but prettier and more expensive) on your head. Capture a bottled faerie and she’ll give your pet a little bit of magic to release her! Become the errand boy/girl for one of the faerie rivals (Illusen or Jhudora) and you’ll be rewarded quite nicely! Well… I’m packed! I’m bringing a few TCG cards and a couple of paintbrushes with me to Neopia – what’s worth very little here is worth hundreds and thousands there! You should come, too! I live at 11399 Illusen’s Forest Drive in Meridell! Well, you keep this list, I’m going now, I hope I’ll see you there!